If you started your business back in the good old days when word of mouth was Queen, you may be uncomfortable with jazzing up your business website for potential new clients. In an ideal world, providing a good quality service and being professional would mean you’d get a good market share of customers, without bothering with anything else. However, in this day and age, if your brand isn’t properly developed online, you may just be leaving the lion’s share of customers to an inferior competitor. If you grew up with less Facebook and more Tetris, this might be confusing to you – but have no fear, we’re here to help. We’re going to break down 6 ways you can make your website more professional – to attract more customers and help your business flourish. This is simple but a goodie. There are lots of dodgy operations on the internet – some seem less legitimate than others. If you want to attract more business in your area, adding an address is a great way to do so. Not only will potential clients be comforted by knowing you are a legitimate business, with a legitimate address, it’s also good for Google. It means you’ll more likely come up if someone is searching for your service in their area. If you’re a hairdresser and you want people to find your service, a domain name that has nothing about your occupation in it just won’t cut the mustard. Ideally, your domain name should contain the name of your business and the service your provide in it somewhere, for example, “supersallycutshairdressers . org” would work well. This means your business will be better picked up by Google, and more people will find it – to the benefit of your business. People may find you on the internet – but most people won’t want to speak to you on the internet. If people genuinely require your service, they’ll want to make sure you’re the right person for the job first. This is where a phone number comes in handy. A business number allows people to contact you easily and for you to assure them you’re up to the task. This means more clients sourced online, but also greater possibility for word of mouth recommendations too. Now, people can just pass their friends your number. If you’re going to do it on your own, this tip isn’t for the faint hearted. Prepare to acquaint yourself with lots of different kinds of coding, and complex web development stuff. Really, if you’re a novice, you’re advised to opt for the service of website designers, Leicester, or wherever you’re based. Most people quickly click off an ugly-looking website. 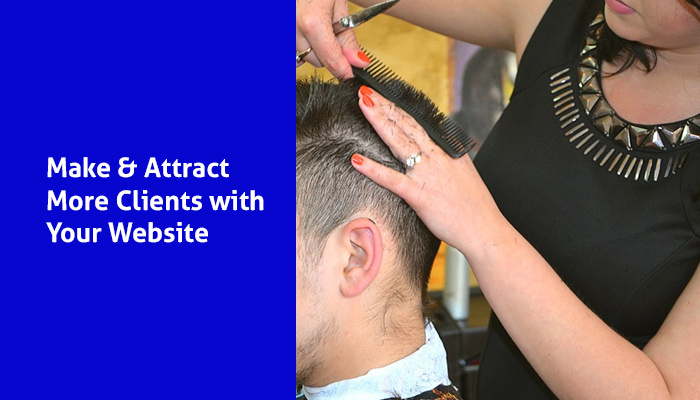 If you want potential clients to be warmed to your service, make sure your website looks nice. Otherwise, you could be the best plumber in the world – but most won’t stick around long enough to find out. Potential clients will probably want to know a little bit about you before they decide to trust you with their hair, their pipes, or whatever else. A little About Me page goes a long way to warming individuals to you and your service. If they see your extensive experience, they’ll probably be more willing to trust you. Instagram is a fantastic marketing tool. It can draw potential customers to your website, and also give a strong sense of your personality, to the effect of attracting new clients. Including your Instagram links in the blog section of your website can do wonders for your appearance in Google searches. Even better, clients who like and comment on your posts will attract the attention of their friends – who may be prompted to use your service too.